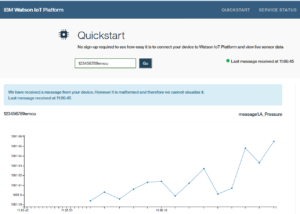 Connect the KIT (see details below) to IBM Watson IoT Platform and send to it the pressure sensor data. For do this we use MQTT and TLS. 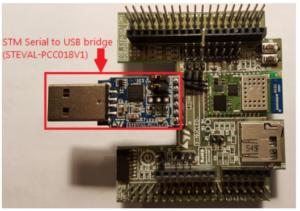 The SW is write in uPython and run on the SPWF04Sx WiFi module. See below the HW kit. Now is necessary get the security certificate from IBM Watson and save it in .der format. Follow the steps show below. 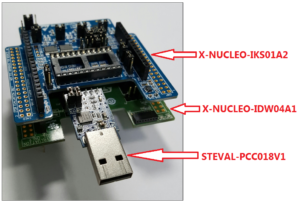 Connect to the PC your X-NUCLEO-IDW04A1 using an RS232-TTL/USB adapter (we suggest the STEVAL-PCC018V1). See below. 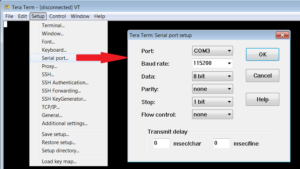 Now open TeraTerm and configure it as shown below. 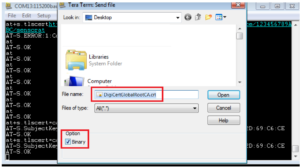 Verify the dimension of your .der file, see below. 1360 is the dimension of our certificate. 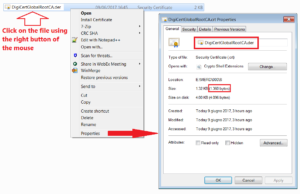 Now select your certificate file (.crt) exported before, make sure to put the check on binary option. See below. At the end you must see something like below. 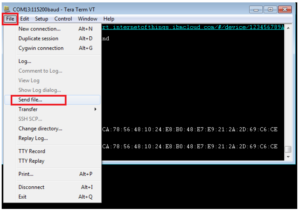 change SSID, PASSWORD and the name of the IBM Watson account. See below. On the IBM Watson page, you will see pressure sensor data (in mBar). This example does not handle disconnections, it’s just a test; after a dozen of data the connection is suspended. 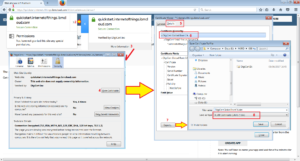 The SPWF04-Bluemix.py is protected by a password. For the momente the SPWF04-Bluemix.py is only for AVNET-SILICA customers. 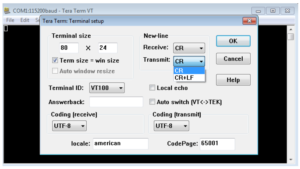 please specify also your Name, City, Country and your contact in AVNET-SILICA.